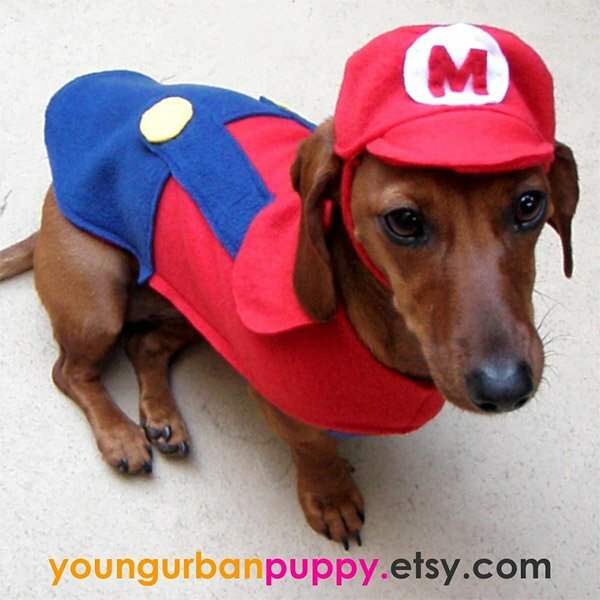 Now you’re probably are saying to yourself, why would I ever dress up my dog like a character from Super Mario Bros.? And I’ll tell you that you need to do it so your furry friend can be just as humiliated as you are when you have to pick up his poop. 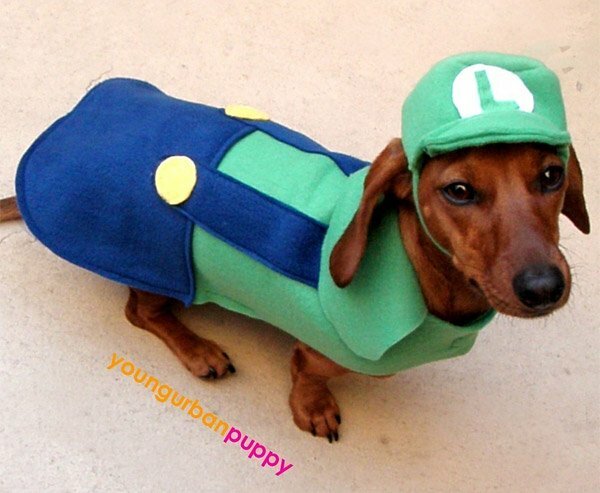 These ridiculous Nintendo-inspired dog costumes come to us courtesy of YoungUrbanPuppy, and are available in Mario, Princess Peach and Luigi varieties. 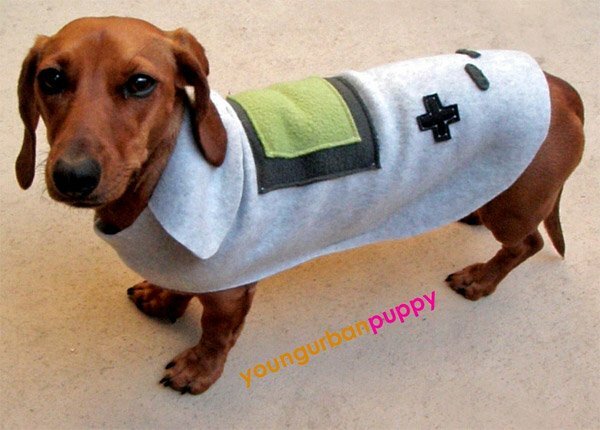 Why not get a few of your doggie pals together and you can simulate actual gameplay – except this time, with wiener dogs. 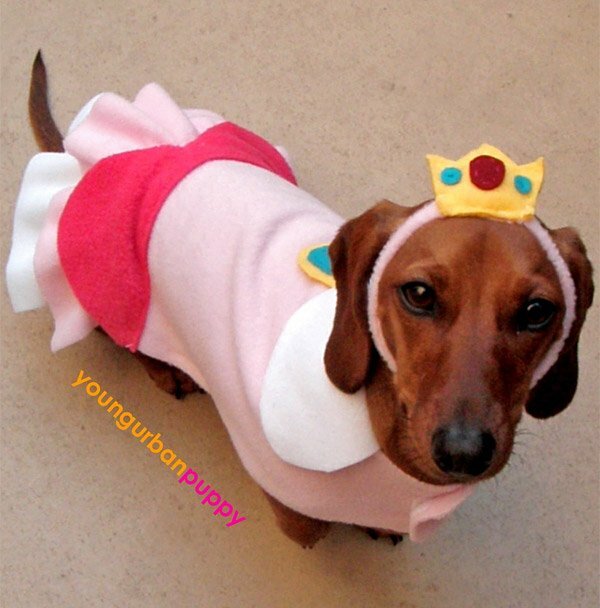 They’re available over at YoungUrbanPuppy’s Etsy shop and made to order to fit your dog. Even so, I don’t think my 100-pound Bernese Mountain Dog would fit in one.